I’m Not Losing Weight… But I’m Working Out Hard! 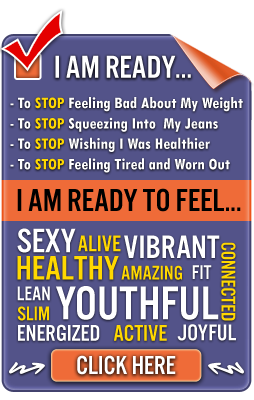 You can work out intensely and religiously and still not see the results you’re after with your body or on the scale. If you’re tired of sweating and not seeing those pounds fall off or your body shape up, it’s probably time to look more closely at your eating habits and eating choices. When there is a stumbling block on the path to losing weight, it is almost always associated with nutrition. The reality is all the exercise in the world won’t help much with healthy weight loss if your diet is not addressed as well. If you eat too much carbohydrate, your workout might not compensate for the caloric intake. Your goal should be to stabilize your blood sugar. Should you not eat enough or skip meals throughout the day, your body might go into calorie-conservation mode. This means your metabolism might slow, preventing you from losing weight even with intense exercise. Make smart dietary changes you can live with – There’s no point going on a diet to lose weight if you can’t stick with it for the long haul. Rather than adopting a “plan,” try eating smarter. Limit intake of certain types of carbohydrates, select whole grains and lean meats, eat fresh fruits and vegetables and steer clear of sugary foods which happen to be present in so many foods we eat. Limit calorie intake – You don’t necessarily have to count every calorie for the rest of your life to get results. Besides, counting calories is unrealistic and boring! You do, however, have to stay within a healthy range of calories for you. Try to cut down on how much you eat by controlling your portion size and consider counting calories for a week in your food journal to really see what you’re consuming. If you write it down, there is a lot better chance you may decide NOT to put it in your mouth! Read labels – While it’s always best to avoid prepackaged foods, this isn’t always possible. When it’s a must, make sure to read labels to pick the healthier choices. There are some decent options out there, if you look for them. Remember, if you don’t know what it is…either do a little research or stick with proven ingredients that you know are healthy and nutrient dense. Pick frozen foods with care – Frozen dinners are often a better choice than fast-food when you’re in a rush. Do, however, pick the smarter choices here. There are some great healthful frozen entrees on the market today. Read those labels to find them though. Avoid the processed, high fats, & high salt types of frozen foods which make up too much of the frozen food choices. Pinpoint your triggers – Everyone has a food they just can’t seem to stay away from. Figure out what your temptations are and try to come up with healthful alternatives. If your weakness is greasy, crunchy potato chips, a handful of nuts might do the trick. Chocolate lovers might find low-fat, low-calorie pudding does the trick just as well as a big candy bar. You can always improve your choices by having the “right foods” available and nearby while keeping the tempting and unhealthful foods out of your house and reach. If you’re exercising regularly and not losing weight, it’s time to explore why. Work with your Marin personal trainer or the health and fitness professionals at your gym to come up with more ideas to help you better address the nutritional side of the weight-loss coin. In my many years of experience, I see so many people struggle with the nutritional component of their health and fitness. Keep it simple, track your results, modify when needed, challenge yourself, and you will reap the benefits of weight loss that is consistent and directed towards your goals. Marin health and fitness expert, John Spongberg is the founder of Personal Training in Marin. He is dedicated to helping people reach their optimum level of fitness and conditioning through a unique, comprehensive whole-person approach, customized to each client. He creates a successful experience for individuals who are ready to take the next step to increase their energy and stamina while achieving, once and for all, the body they’ve long been dreaming of. 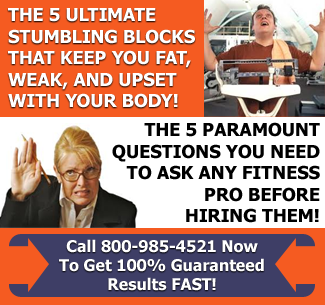 If you’re ready, you can reach Mr. Spongberg at (415) 891-8787 or visit his website at www.PersonalTrainingInMarin.com where you can download your free copy of his special health and fitness report, The Truth About Losing Weight. Here’s a good place to start. Drop the soda and replace it with tea. Then watch what happens to your waistline. Tea can be made from just about anything and there are lots of choices to choose from in the store too. Sugar isn’t the only thing that can be used to sweeten it. Dropping the soda is a great start Doug. Tea is a healthy, alternative option with great benefits. Getting over the sugar addiction or even serious reduction of sugar will provide serious change in regards to your health and fitness.